Food is a cultural and contextual matter and when you have the luxury of making choices on what to eat, “good food” is one of the most flexible, negotiable and unfixed phenomenon we ever came across. Consumers either go for quality or mass production, homemade or prefab, or both; you go for soul or the general idea. At one occasion one either chooses ecological or locally produced, the next time cheap canned without story or localization. It’s a non-logical process depending on what currency you use in that certain moment. 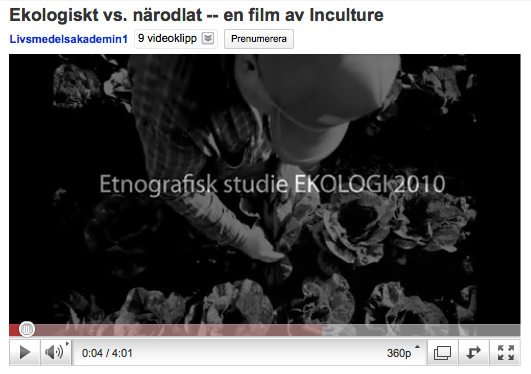 Read the report about ecology vs locally produced food Inculture wrote for Skånes Livsmedelsakademi 2010 or see the film here!